An iron helm resembling an upside-down bucket. A single hole allows one to peek out with a single eye, which is probably all that its original owner had. 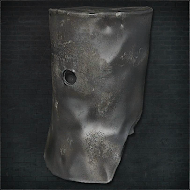 An iron helm resembling an upside-down bucket. A single hole allows one to peek out with a single eye, which is probably all that its original owner had. The iron helm is passed down among masters of the League. 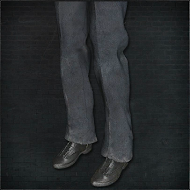 Valtr had in fact lost the ability to see vermin long ago. 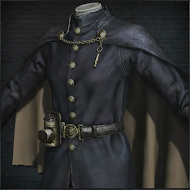 Once upon a time, a troupe of foreign constables chased a beast all the way to Yharnam, and this is what they wore. The constables became victims of the beast, except for one survivor, who in turn devoured the creature whole, all by himself. The fable is a favorite among Yharnamites, who are partial to any stories of pompous, intolerant foreigners who suffer for their ignorance. It makes the blood taste that much sweeter. One-eyed Iron Helm has one of the highest Physical defense of all head pieces. There are actually two different descriptions on Valtr's Iron Helm he dies naturally: You get the first one "One-eyed Iron Helm" by killing Valtr. The second one "Master's Iron Helm" after he dies naturally (after 4-5 crushed vermins). Stats of the both helms are identical. 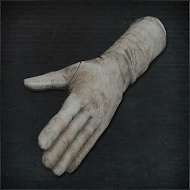 Constable's Gloves have one of the highest Physical and Blunt defense of all Hand pieces.